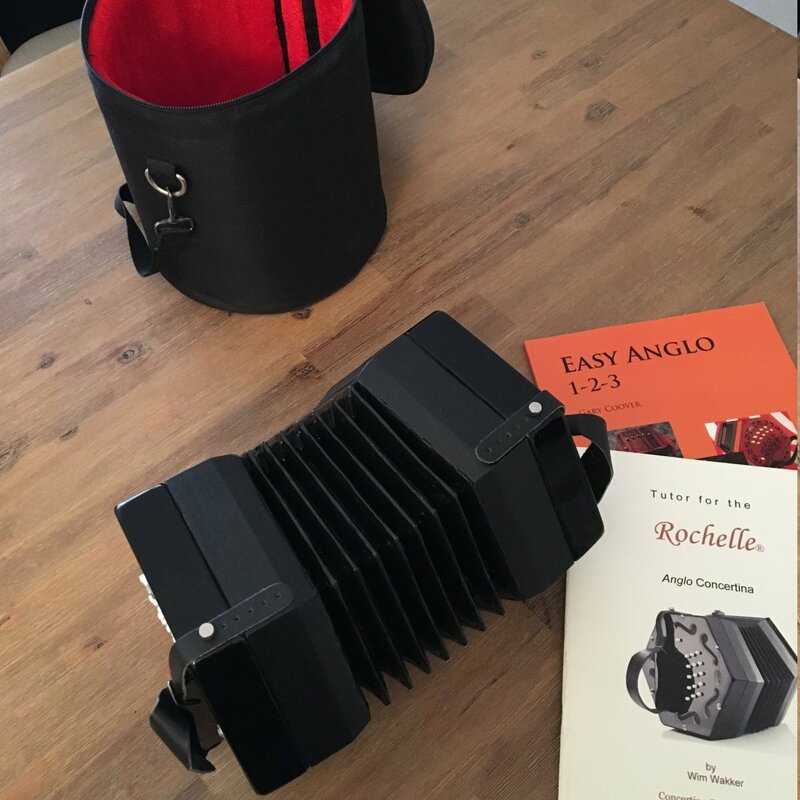 For sale: Concertina Connection Rochelle anglo bought new from Harry Geuns in the Netherlands in December 2014. C/G, 30 buttons, 7 folds, Wheatstone layout. Mint condition, used three months at the time, before I bought an Edgley and later moved to New York City. 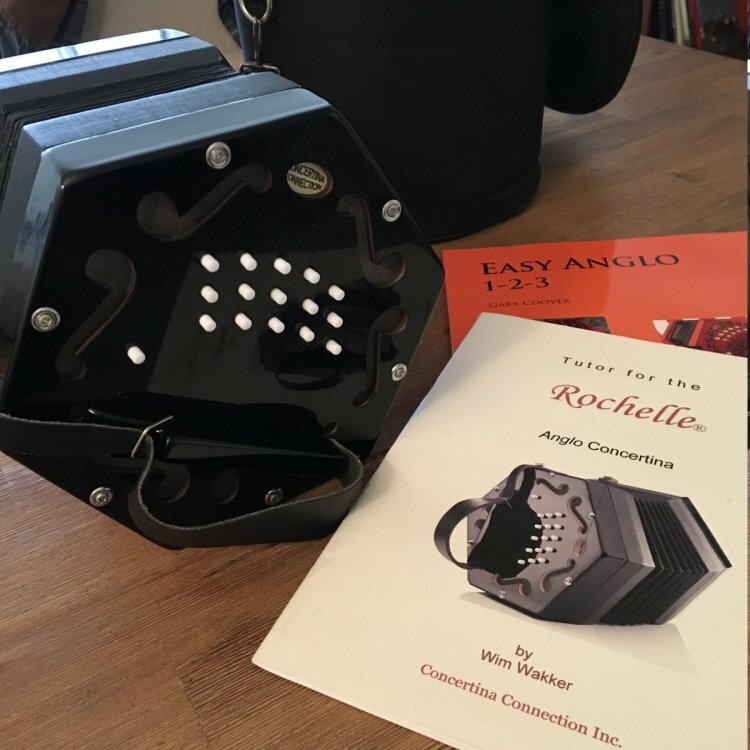 I'm including the gig bag and two books: the Wim Wakker instruction book and Easy Anglo 1-2-3 by Gary Coover. $350 plus shipping if outside NYC area. Is this instrument still available? Are you local to Fort Worth, Texas? I'm in New York, but willing to ship.